Train Valley 2, a simulation title published by Flazm, is made for people who want to relax and casually enjoy a soothing session of gameplay. After some time with this wonderful little sequel, I’m prepared to tell you what Train Valley 2 does well and what it could improve on as an Early Access title. Gameplay features management and awareness first and foremost; without those two things, you can't expect to go far, as you must learn what resources you need and how to optimally create your train tracks to ensure you’re on budget. Also, you must avoid creating a cluster of tracks that will cause a crash if you don't switch the track in time. 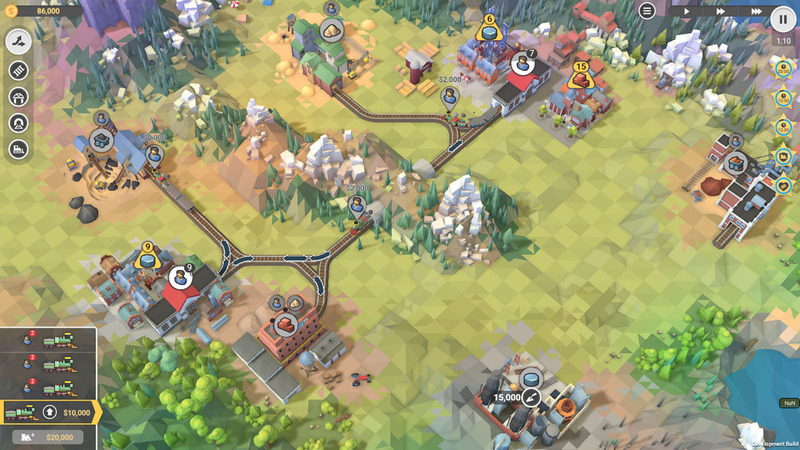 Early levels of Train Valley 2 teach you how these mechanics work, along with how to construct bridges and tunnels to optimize your paths further. You can progress at any pace you see fit, even waiting to finish the last objective and spending time messing around with the tracks and trains. Although Train Valley 2’s design and mechanics seem error-free and very well thought out, the usability of these mechanics is obstructed by some visuals, such as track switches hiding behind an icon you click to send out resources from a building. This can cause a terrifying crash if you don't have the clock paused. Without a proper camera rotation function, it becomes difficult to reach these small nooks if you place your tracks behind an object. This is frustrating, as it can cause a vital train to lose precious time on the way to its destination. 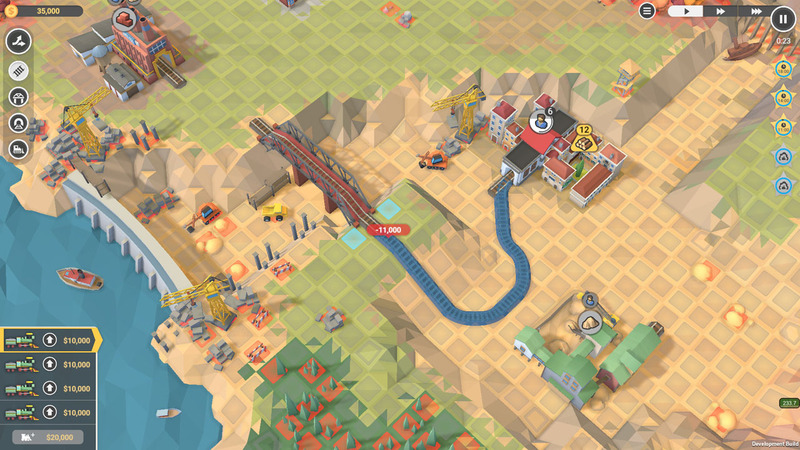 Train Valley 2 has no background or story, solely relying on the challenge featured in each level. There are twenty levels total to play, and you advance by accomplishing all the required goals in each level before advancing to the next. As for additional challenge and replay value, you can return and attempt to gain a 5-star rank by completing it within a time limit or achieving the other optional goals, such as making sure you don't send a train to the wrong station. The challenges are varied, making it a bit more interesting to play, however, they quickly become either trivial or a hindrance — such as one challenge, where you must let two of your trains crash. The music and visual aesthetics of Train Valley 2 are incredibly pleasing — even calming at times. I found myself relaxing to the wonderful music as I progressed at my own pace, only to be caught off guard by my mistakes on the tracks. The visual design is polygonal and simple, nothing too fancy, so it seems like any computer could run it. It also lends itself to making the track switches stand out with their dark, easy-to-see shapes. Train Valley 2 serves as a great addition for fans of micromanagement titles that are easy to relax with. There is a degree of thought and intelligence required, so you can’t mindlessly play it and expect it to work on its own. It’s fun, well-crafted, and has a wonderfully casual feel. Camera rotation and inaccessible interactions need improvement, but it’s still worth picking up despite these minor flaws. Seeing as it’s only in Early Access, I look forward to what Train Valley 2 will bring in the future.